There have been many reported sightings of tunnels around the area of the line you see drawn on the map. Most have simply had no evidence for a number of reasons and exist as Featherstone myth. Along Pontefract road there are a number of World War 2 shelters using natural rock. One of these is one of the few clues to any tunnels in the area. This one particular shelter is more a break in to an existing tunnel stone carved and not lined. Either end is bricked up as it is obvious from the building line that a tunnel has been cut through. On its own there is no guide to direction. Over the last 2 years thanks to the Girnhill estate a number of curiosities have come to light in the way the original estate was laid out and built. Subsequent subsidence still continues that cannot be the entire coal boards fault. A further recent clue suggests the line you see. On 2 confirmed points on the line there is a tunnel. On 2 confirmed points on the line there is also no house as if someone found a problem and built around something. The line you see could be nothing. It is purely based on a dot to dot. It is interesting that there is known history at either end of the line? Tunnels must have existed connecting Newlands Wakefield Heath and Ponty. I want down as many as I can. Can anyone help? Yeti? Sounds interesting. Do you mean Newlands Heath at Normanton and also Pontefract. Seen plenty of Ponte tunnels but not Normy. Please tell us more. OH! Yetion its interesting allright. Ive irritated a couple of local historians about this. There seems to be an urgency about "capping" tunnels soon after they have been exposed. Talking to local people from Normanton who used to play in Newland (not Heath), they confirm they had played in a tunnel which stretched to Wakefield. Preventing access to these dates back to the reign of Elizabeth 1, and deeds maintained in Leeds register of deeds office confirm the Crown would only give back to the people of Niormanton what was above the ground. In 1996 also, there were deeds sold by secret auction at Sothebys in London, and on condition that the articles be taken directly from this country. I have every reason to believe these deeds were taken from the Newland estate Now, it gets interesting here because my intuition led me to believe there should have been a tunnel into Wakefield from Newland, but received wisdom is that the technology to build such a tunnel didnt exist in the 14th C.
Such a tunnel would have to go under the river Calder! If I was right I knew it would most probably surface near the Cathedral and it would be special in its design; The men who would have built such a structure were skilled artisans disciplined in their work. Any such tunnel would have superb integrity. I have discovered such a tunnel was exposed adjacent to the old Vicarage car park in 2004, it led to the Free Mason Hall across the road, but more interestingly it also headed off toward the Cathedral under the burial ground. I have spoken to two people who were down there before it was "Capped", and they confirm there was intricate masonry, beautiful woodwork and a large room down there. I then discovered the original Wakefield church and vicarage were funded by tithes collected by the Templars. Formal communication exists between the Bishop of Wakefield asking the Templars not to ferry peeps from Normanton and Castleford over the river because they were causing problems. My belief is they found a way round this. I believe this because they would have used tunnels to transport money safely, and also there was significant trade which they would have wanted (needed) to secure. Now. This is information that should be placed in the public domain, and if you could possibly describe some of the tunnels around Ponty you are familiar with it would possibly help me with detail I have struggled with. Can I ask a few questions about these tunnels? Firstly, there seems to be a lot of coal seams near the surface around this area, if they came across such a seam while constructing a tunnel, how would they deal with the methane and the water problems associated with modern mining, don't they have to pump mines out and provide fresh breathing air for people to be able to work in them? Secondly, the Newlands area in a direct line to Wakefield would go under Warmfield, Kirkthorpe and heath. This area is very hilly, for example near the Plough pub in Warmfield the land is 220 feet above sea level while the calder at the bottom of the hill is 90 feet above sea level, Heath common is about 150 feet above see level. The distance from Newlands to Wakefield in a straight line is just over 2 miles. My question is how would the engineers of such a tunnel ensure they didn't pop out on the side of an hill without having any equipment which told them how deep they were? If we dug a tunnel today the spoil of a 6 feet high by 3 feet wide tunnel would be approximately 6000 metric tonnes of soil and rock. Assuming they brought the spoil out of one end of the tunnel where is this spoil heap located? Theres evidence of an ancient track from nostel priory to all saints church in north feath. Indeed, I have not spoken to Andrew about this. I wanted to locate the entrance(s) first. I have read his partners` web site on the estate. It is obvious she has an interest. Andrew is farming the land which is great to see. Im sure the prospect of having excavations on a working estate would not be a great carrot to wave. And the thought of causing financial damage or just inconvenience to someone without some sort of concrete plan is not something Iwould entertain. Having said that, I believe one entrance lies within a clearly defined area of about 7 square meters. Yeah, there was technology involved in the construction of mines and tunnels. Ironically, the ability of people to mine huge quantities of lead during the medievil period proves the skills/ knowledge to complete the task existed. The most famous mines of this period are in France. Given the sduccessful revolution which occurred in France in the following centuries, it is probable that the mines there were exposed to public more easily than this country. The technology is not my concern, but from what I have read, it seems that methane can be dealt with by the use of acid solutions. Also, it is when a tunnel has been out of use for awhile that the greatest dangers will arise. But; unlike mines, these tunnels would have, by necessity been in regular use, and by a select number of people. The spoil created by any of these tunnels wopuld have been taken away by water. As inthose tunnels exposed in the 1990`s under the Holy land, water flowed freely in the tunnelbelow the level of stepping stones. Of course health and safety was not quite such an issue then, and there was greater access to prisoners et al. The line from Newlands to Wakefield of @ 2 miles is interesting in itself. The bridge church and original Heath House arent far from this line. This point is where the use of geometry, sacred geometry, numbers 5 & 1, and patterns of settlements replicated across the world give some clues. The geography - social and physical has changed over the last 1,000 years. It will be obvious to you frommy post that I dont have all the answers, but its asking the right questions Im finding interesting. Hi Buffalo, the mines which you speak of in France are cut from soft chalky limestone and so were the tunnels underneath Temple Mount in Jerusalem. The Temple Mount tunnels are a network of tunnels or a labyrynth of tunnels running in many directions used for many purposes throughout the centuries and are the subject of many myths and legends involving the Knights Templar and the search for the Holy Grail. This is also linked to the mystery of Rennes le chateau in the foothills of the Pyranees, the Cathar legends and the grail legends of that part of the world. I should imagine building or trying to build similar tunnels in this area would meet with extreme difficulties due to the fact that the subsoil and rock around these parts consists largely of shales, coal, soft sandstones aswell as a variety of other unstable geological materials. If you are going to construct tunnels then you would need a stable rock platform from which to operate otherwise you would be faced with collapses and the need for huge ammounts of timber to support the roof just like they use in drift mines such as the Prince of Wales mine in Pontefract. If they did indeed use timbers in medieval times wouldn't those timbers be rotten by now and the tunnels have collapsed long since? I still find in difficult to believe that people would have spent years constructing these tunnels with the difficulties concerned for the sole purpose of secretly getting from one place to another and like Forkhandles has said I strongly believe that many of these stories are just myths, legends and fantasies. I wish you good luck in your quest Buffalo to find the 'lost tunnels of the Newlands Templars'. It is always interesting to read the pros and cons surrounding this subject. From my un-educated view based on what little I have seen one tunnel was cut in to solid rock yet appeared to go up and down in depth according to how this stone layer had been formed. Also every 12 ish metres the tunnel turned left and then back to the right in a zigzag. The rock tunnel was circular perhaps to act as its own brace? There is no doubt there was technology that is lost today. There's no doubt Yetion that people had the ability to cut through rock in those days. Mill hill at Pontefract is a prime example of how this was done with its massive network of caves and tunnels cut into the solid sandstone, they stretch for hundreds of metre's and many have been closed down due to the instability of the ground and problems with flooding. There is much debate on what these caves were used for and there are some interesting bits and bobs on the web about them. The castle at Ponty also had a few caves and tunnels although not as long as what people think they are. Again also cut into solid sandstone but these caves served a purpose being used as cold stores, prisons and magazines over the years. The Victorians used them to store liquorish in when it was grown in the castle grounds and they also used the caves up Mill hill to do the same when liquorish was grown in the Valley gardens. My doubts about tunnels come into play when people are claiming that tunnels go for miles. Tunnels that cover vast distances are bound to come across many geological problems such as poor materials. 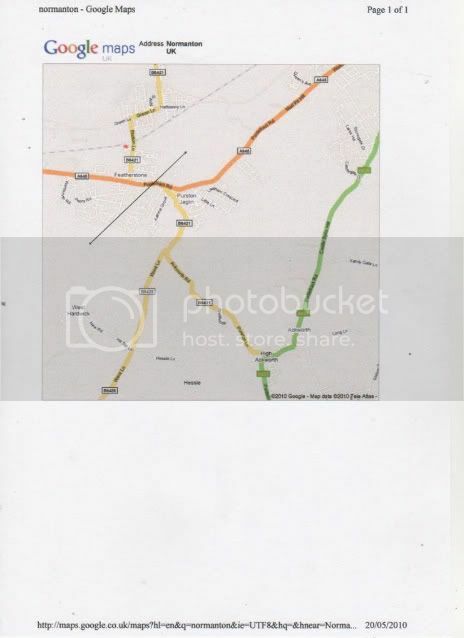 For example, lets just suggest we wanted to tunnel from Mill hill to Station lane, Featherstone. Only a couple of miles, when you start tunneling in the solid sandstone at Mill hill that will be OK. You then come down Marlpit hill past the Crematorium and the natural sandstone stops and is replaced by shale and coal deposits underneath Monkroyd farm. These deposits were exploited during medieval times by the use of bell pits which are dotted in several locations around Monkroyd farm. The coal seems are very close to the surface and appear at the actual surface in the field next to the Jubilee steps in Purston. Coal and shale appear scattered on the surface and the profile of this coal can be seen in the deep ditches around there. Tunneling through this material would cause extreme difficulties because of the methane and the low land which would cause flooding. You would need the same kind of technology as the mining industry. So to sum up my argument i would say: tunneling around these parts is possible and has indeed been achieved but only when the conditions are suitable such as solid sandstone or solid limestone. I think that's a fair anology. Haven’t you seen the great escape film ? That is an interesting link. Not seen it before. Love the great escape part especially after watching the true story on the history channel last night. There will always be many ideas until further research is undertaken. If the people involved in the past were good enough to create such tunnels surely the remove of the rubble would be nothing to find a solution to. Perhaps they filled up the many bell pits that scattered the landscape.